Backed with more than 2 decades of experience and numerous safety awards, Ad-Meth is Singapore’s leading provider for manufacturing and cleaning & refurbishing of Shell and Tube type Heat Exchangers, Pressure Vessels, Air Fin Coolers. 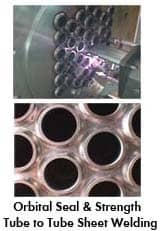 We provide the full scope fabrication services for Shell & Tube type Heat Exchangers; U-Tube Bending, Machining and Drilling of Tube Sheets and Baffle Plates, Welding Works and with pipes and flanges. We have in house capability for design and analysis of shell type heat exchangers and pressure vessels. 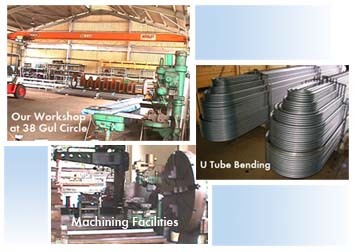 Our fabricated Heat Exchangers & Air Fin Coolers conforms to ASME and TEMA specifications. 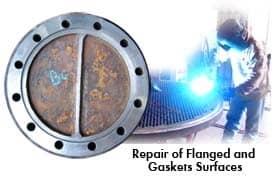 We pride ourselves to be the leading heat exchangers provider providing both in-house and onsite services to disassemble and clean heat exchangers using 10,000-40,000 psi ultra high pressure hydro jet cleaning of internal and external tubes. Harder to clean choke cokes can be clean effectively by our patented ultra-sonic method. Contact us immediately for your heat exchanger fabrication and servicing needs.